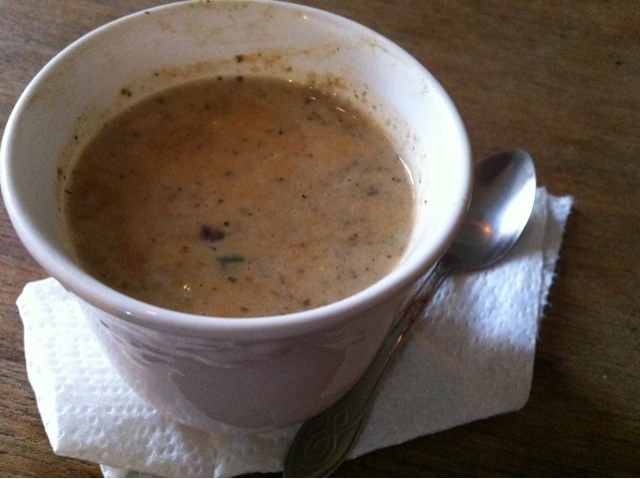 With leftover mushrooms I was inspired to make a creamy mushroom soup on the fly. It was pretty easy, homemade and fresh. Very warm soup on a cold winter day, perfect with toasted french bread. 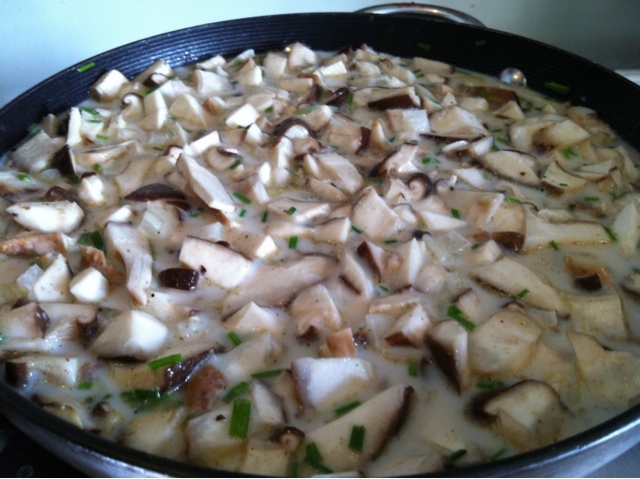 2-3 cups of mushrooms, white or brown and sliced. Italian Herbs, pepper and cayenne. Maybe cumin or bullion if you like. 1 to 1 1/2 cups of Half & Half or Cream, whole milk works, but reduce water. Sauté the onions in butter and add mushrooms in a medium pot. Cook the veggies together, add water and herbs and let everything cook up. Add milk and let boil to be completed. Remove from heat and pour into a blender. Blend to smooth consistency. Pour back into pot and let warm up. This is where I taste it, check for last minute salt or pepper and serve.